The High snow clad Dhauladhar ranges form a magnificent backdrop to the hill resort of Dharamsala. 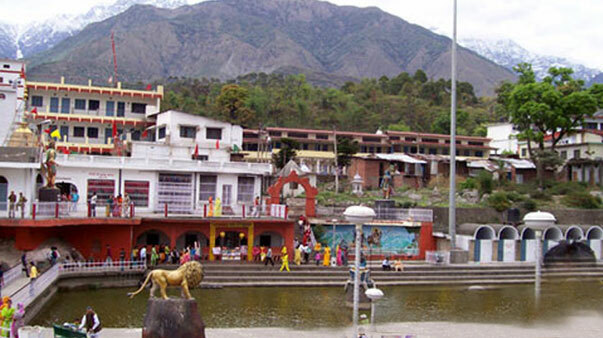 This is the principal township of Kangra district and overlooks wide spread of the plains. With dense pine and deodar forests, numerous streams, cool healthy air, attractive surroundings and the nearby snowline, Dharamsala has everything for a perfect holiday. It is full of life and yet peaceful. 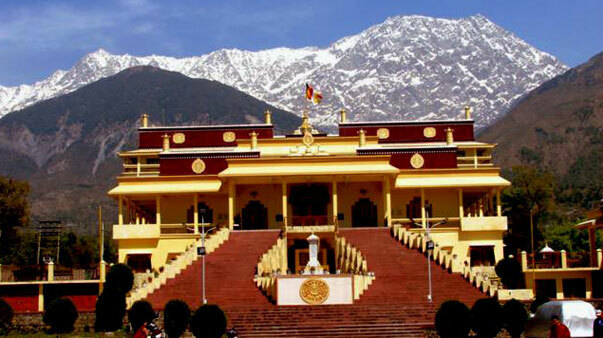 The headquarters of His Holiness the Dalai Lama are at upper Dharamsala. 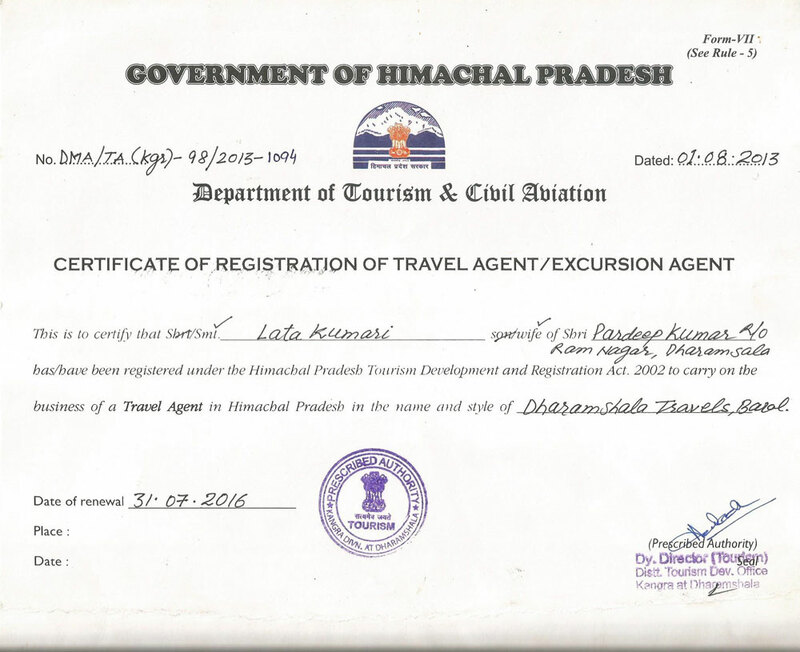 Dharamsala can be approached by air from Delhi. The nearest airport is at Gaggal, 13 km away. 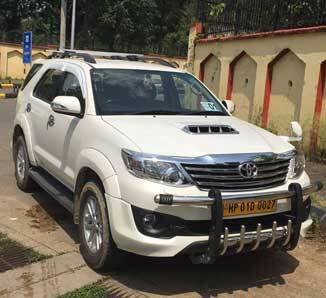 Pathankot, the nearest broad gauge railway station is 85 km away and the toy train station is 17 km at Kangra. 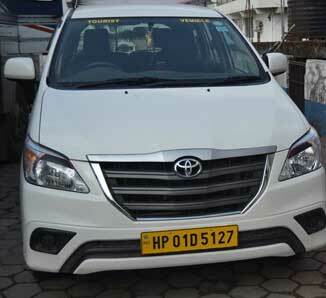 Taxis and Buses for Dharamsala are available at both places. From Pathankot the drive takes about three hours or you can drive from Delhi (526 km) via Chandigarh, Kiratpur and Bilaspur and takes 12 hours. 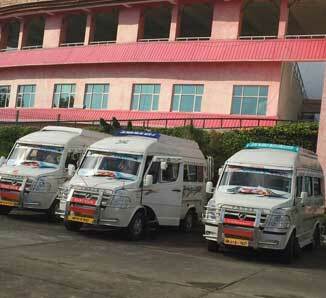 From Delhi and Shimla luxury buses ply to Dharamsala. 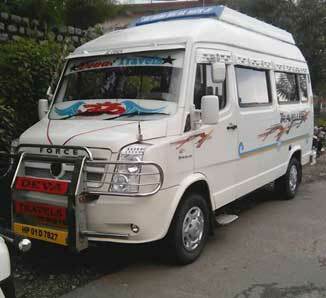 HPTDC operates a regular Luxury coach from Delhi to Dharamsala. CLIMATE : In winter, the temperature can drop to freezing point when heavy woolens are required. During summer, the climate is mild and light woolens / cottons are recommended. 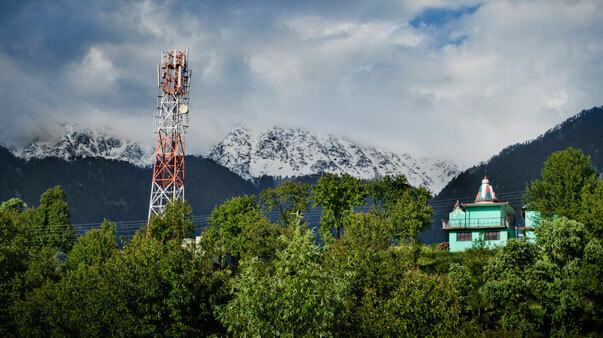 The village of Naddi is situated at a height of 7,152 feet above sea level (2180 m) and offers a magnificent view of Dhauladhar mountain range to the north and the vast expanse of the lush green Kangra Valley to the south. 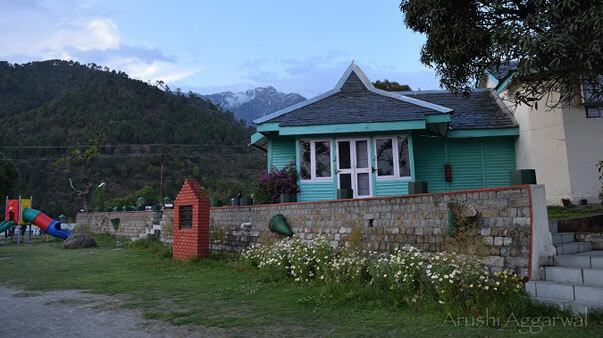 Naddi is situated away from the hustle and bustle of McLeod Ganj and provides complete peace of mind to for anyone who travels to this quite village. The village mostly attracts families that want a weekend getaway from the nearby towns and cities. 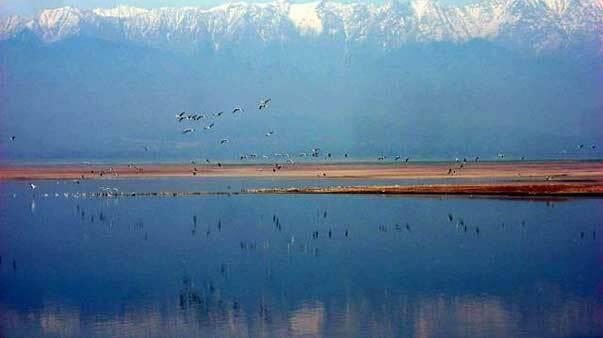 The sacred Dal lake with natural water body is 11km from Lower Dharamshala connected by motorable road. It is the starting point of excursions and trekking and is located next to the Tibetan Children’s village. 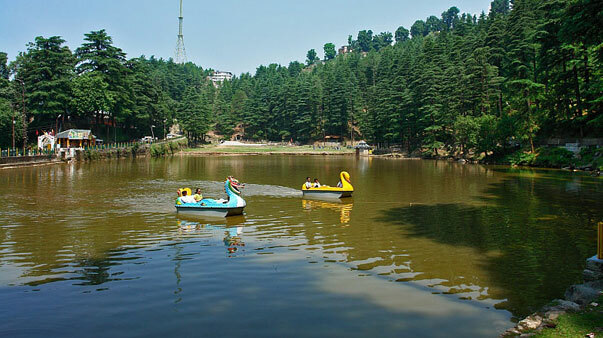 The lake is a scenic picnic spot surrounded by the forests of Deodar. There is a temple of Durveshwar Mahadev by the side of the lake. A colourful annual fair is held every september on the ady of Radhaashtami. Dal lake is spot of religious importance, besides, a place of tourist attraction. 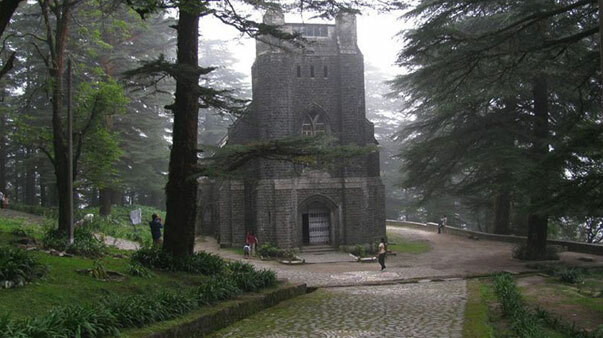 Fifteen minutes’ walk from McLeod Gunj, the Anglican church lies in the forest near Forsyth Gunj. This neo-Gothic stone church was built in 1852 and has some fine Belgian stained-glass windows. It miraculously survived the 1905 earthquake – only the spire collapsed. A memorial to Lord Elgin stands in the churchyard. The British Viceroy died in Dharamsala and is buried here. Visiting hours for the church and cemetery are 10 am to 5 pm each day. This ancient temple is 1 kms from Mcleodganj. Close to this temple is a beautiful waterfall.Near the Dal Lake is the shrine of Bhagsunath an easy walk from the Mecleod ganj. Famous for its ancient temple and a pretty waterfall not far away. 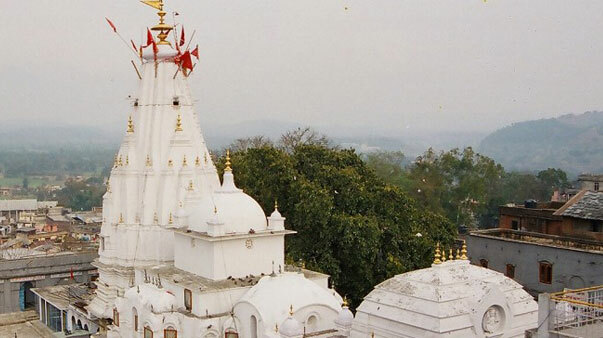 The rock temple dedicated to local Goddess is just 3 km from Kotwali Bazaar. Dharamkot is a small hippie village near McLeod area, ideal for a few days’ time off from real world or months away if you’re lucky enough to take time off work for that long. 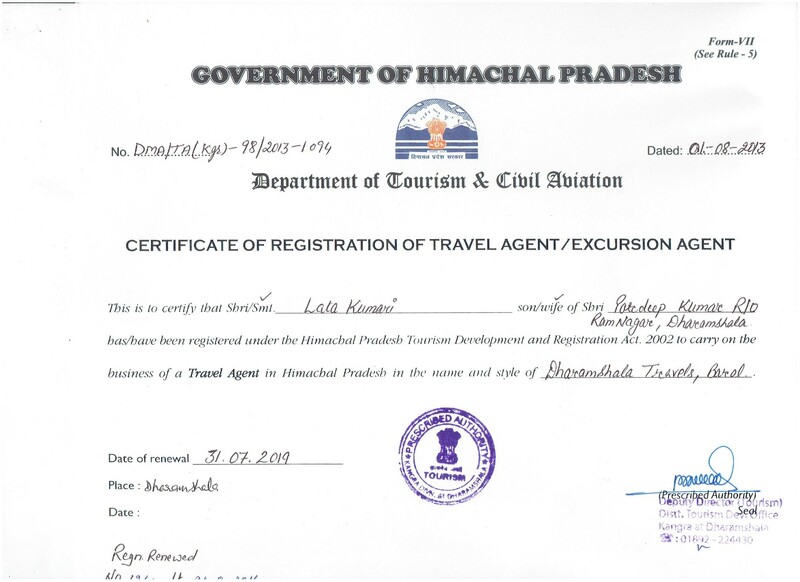 Dharamkot is the perfect base for multiple treks such as Triund, Illaqua, Indrahar Pass, etc. 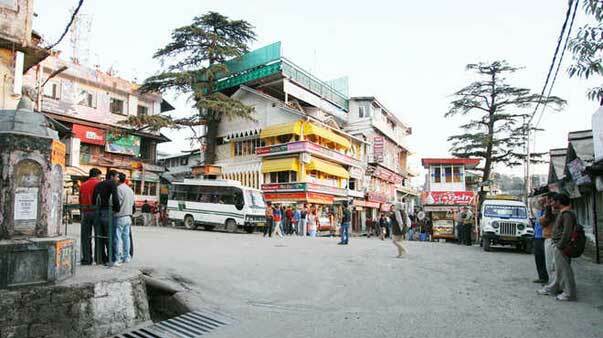 McLeod Ganj Central Square. Well-known for having Nowrojee and Son, the oldest shop in the city founded in 1860, the area has beautiful stores selling wooden carvings, Thangka tapestry paintings and handicrafts. 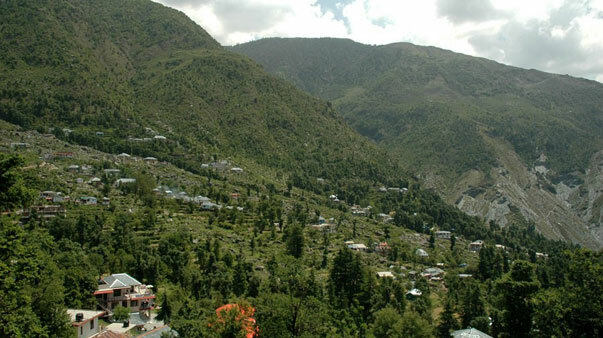 The town of McLeod Ganj in Upper Dharamsala is known worldwide as His Holiness the Dalai Lama resides here and is also known as Little Lhasa of Tibet. The main temple is where His Holiness the Dalai Lama gives teachings several times a year. His Holiness’ residence is located near the main temple and the headquarters of the Tibetan Government in Exile is located just below McLeod Ganj. Museum of Kangra Art was opened on 17 January, 1990 to preserve, conserve and revive the rich cultural heritage of Kangra region. 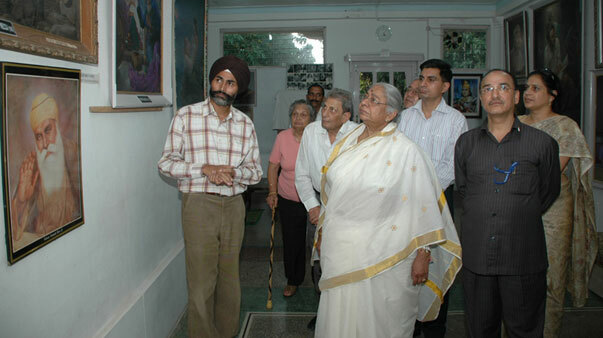 Museum is a treasure house of rich heritage of the valleys art and culture, located near Kotwali Bazaar at Dharmshala. Museum is still in infancy but now the collection is incresead to 1500 art object comprising miniature paintings, textiles, sculptures, jewellery, coins and objects of cultural anthropology. When you head for McLeodganj from Dharamshala through the long route (not from the shortcut that goes from within the market), you will find a very wide elbow turn. On the edge, there is a sign board of the Tea Plantation of Dharamshala. At 10 mins. 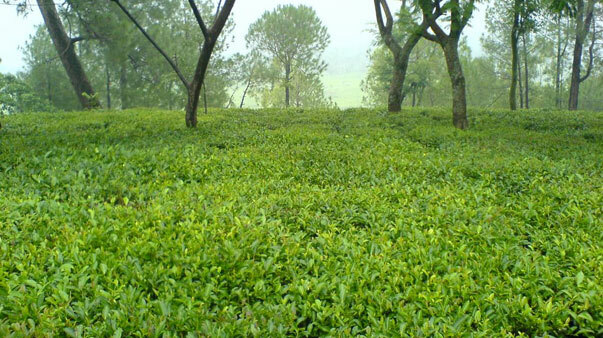 walking distance, you will reach a place, covered with dense green leaves and filled with magnificent aroma of fresh tea. 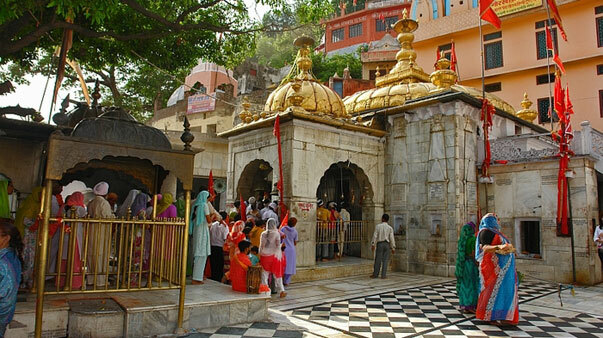 Kunal Pathri is a little rock temple dedicated to goddess Durga in Dharamshala. 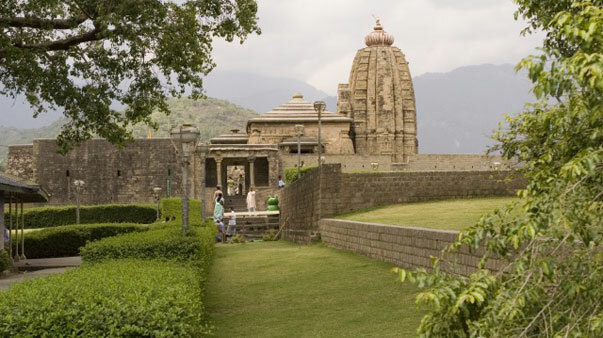 Located in the beautiful Dhauladhar Ranges in Kangra district, this ancient temple is surrounded by dense tea gardens and is the perfect place for a long peaceful walk amidst the lush surroundings. The temple displays exquisite carvings of gods and goddesses. It is said that there is a stone in the temple that always remains wet. According to local legend, the moment it starts drying, it rains. It is believed that when goddess Sati, wife of Lord Shiva, died, her skull had fallen here on this spot. 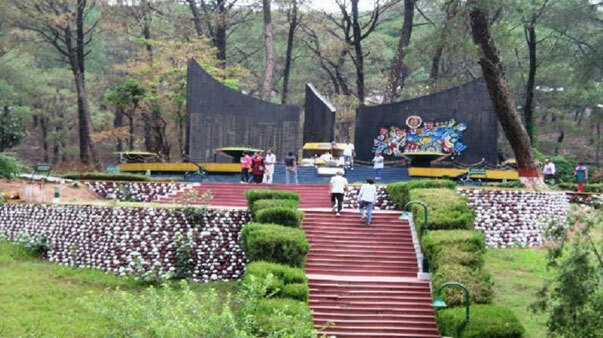 Among many places to see in picturesque Dharamshala, War memorial i.e “Sahid Smark” is famous for its beauty and for proudly commemorating the memory of the war heroes who fought bravely for their motherland and sacrificed their lives to save its people and respect. This War Memorial was built as a tribute to the brave Indian soldiers who fought for their country. This place is very calm and is surrounded by a lots of different trees and pines. To reach War Memorial is pretty easy.The memorial is situated near the entry point to Dharamshala, as we are about to reach Dharamshala from Kangra or Gaggal airport, we find war memorial as a first place to see in Dharamshala. 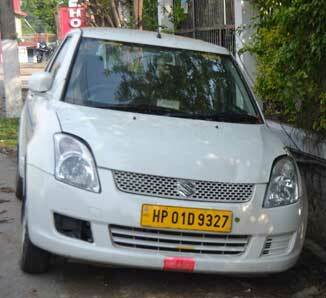 We can locate War Memorial about 1 km before Dharamshala main bus stand on the main highway. 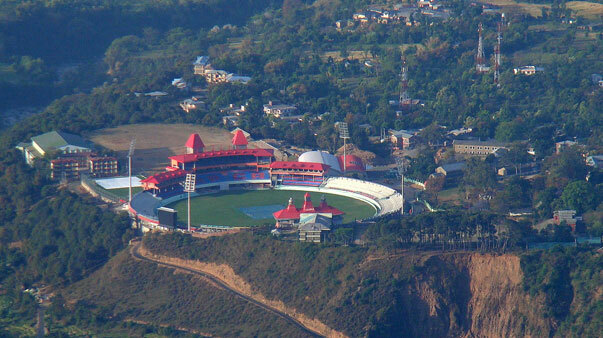 HPCA Cricket stadium set against the backdrop of the dramatic snow clad mountains, is perched on the high slopes in the upper reaches of Kangra valley. Today, Dharamshala has become the synonymous to the Tibetan government in exile and the home town of Tibetan leader His Holiness Dalai Lama along with the Cricket Stadium. It is not only noted for its cool salubrious air and its stunning mountain scenery but known for serene ambience, rolling meadows and spell binding views. Indrunag is a temple (at altitude 2000 m) constructed by the villagers of the surrounding areas , dedicated to god of snake or god of rains . This place has a very magical touch of pines and cedars together. The sunset over the horizon is a real splendid to watch, its rays when fall over the Pong lake creates an awesome view and the water looks like gold. Para gliding activity is also conducted at this place. There is a café here where you can enjoy beverages and fast food. The Norbulingka Institute The Norbulingka Institute of Tibetan Culture was founded by the Department of Religion and Culture to preserve and promote Tibetan art and culture in exile. 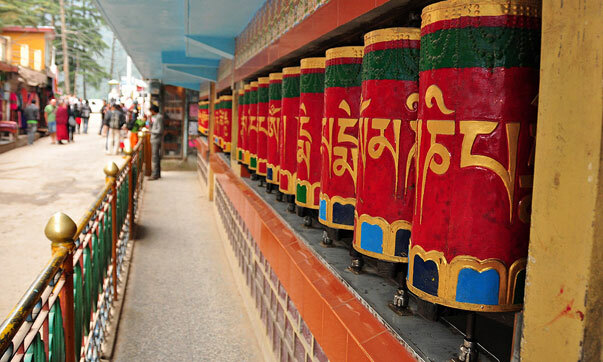 Norbulingka Institute in Dharamsala has taken the initiative to preserve the roots of Tibetan culture in exile. 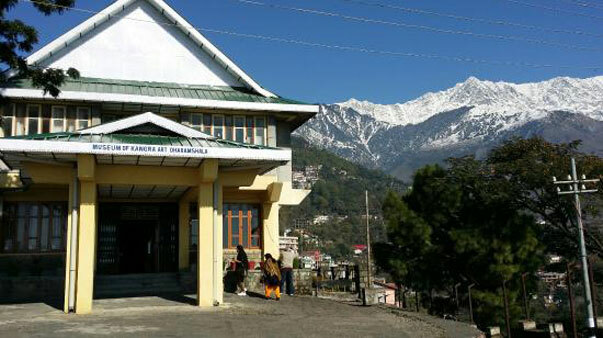 The institute is sited in a scenic valley below Dharamsala. 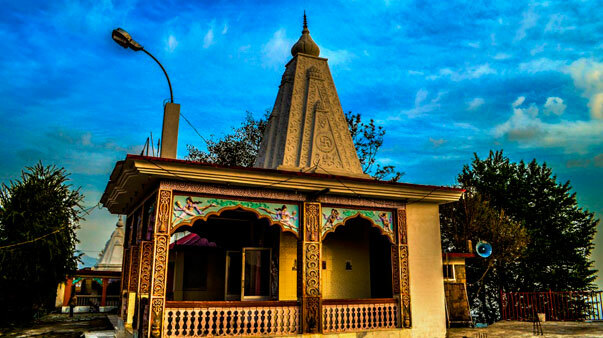 Aghanjar mahadev temple is situated at a distance of 5 km from Dharamshala and in the Khaniyara village near manji river at the foothills of dhauladhar. This Shiva temple is very unique,very old and is illustrious for its scenic beauties. It is believed that this temple was created by pandavas. A little water fall is there behind the temple with continuous water flowing around the temple. After passing through terribly little bridge we tend to reach a cave and within that cave a knife Ling is a gift to see. This temple is believed to be five hundred years old. This shiva temple and its surroundings offers a great relief and a water stream with cold breeze to enjoy peace. This is a beautiful place to relax and capture the moments of natural beauty. The exhibition in ‘NAAM ART GALLERY’ exhibits paintings by Elsbeth Buschmann – watercolours and acrylics – and oil paintings by Alfred W. Hallett. Elsbeth Buschmann, is a professional painter from Germany, having studied painting in London and Paris . She lived in many countries where she held exhibitions, especially in the USA where she received various awards. Her paintings are in private collections in Germany, USA, Scotland, India and Switzerland. 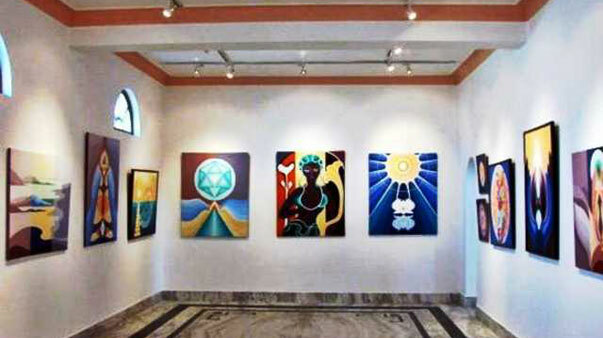 In India she held solo exhibitions at AIFAX, New Delhi and TAG, the Art Gallery of the Taj Mahal Hotel, Mumbai. She also took part in ‘The Himalayan National Exhibition of Art’ and was awarded. An ashram complex has been established by late Swami Chinmayananda, a noted exponent of the Gita, at a distance of approximately 10 km from Dharamsala on the banks of the rivulet Bindu Saras. The complex includes a 9 m high image of Lord Hanuman, a magnificent Rama temple, a meditation hall, a school, and a health and recreation centre. The Gyuto Monastery is one of the most famous monasteries in Tibet and specializes in the study of Tantric meditation, Tantric ritual arts and Buddhist philosophy. The main disciple of the first Dalai Lama, Jetsun Kunga Dhondup, founded Gyuto Monastery in 1474 in eastern Tibet.The Gyuto monks practice the major Tantric texts such as Guhyasamaja, Chakrasamvara and Yamantaka and have passed these lineages on to the younger generation of monks for over 500 years without disruption. As a result of the communist Chinese invasion in 1959 the Monastery was re-established in India. 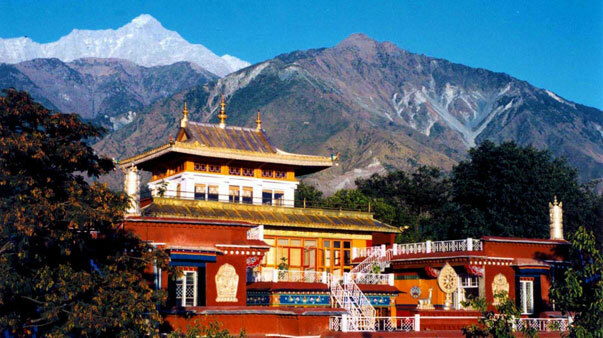 To accommodate the growth of the monastery to over 500 monks it has recently been relocated to Dharamsala near the residence of His Holiness the Dalai Lama. The famous temple of goddess Chamunda Devi (Chamunda Nandikeshwar Dham). 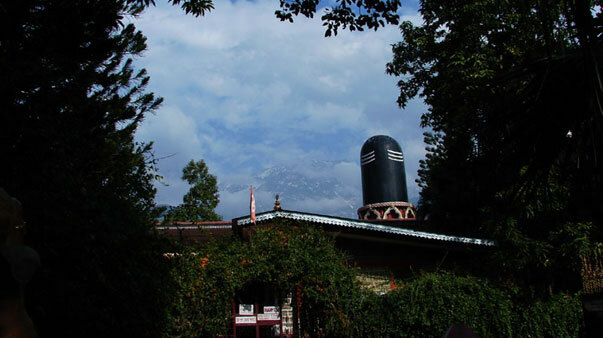 At the back of the temple is a cave-like scoop where a stone “Lingam” under a boulder represents Nandikeshwar (Shiva). 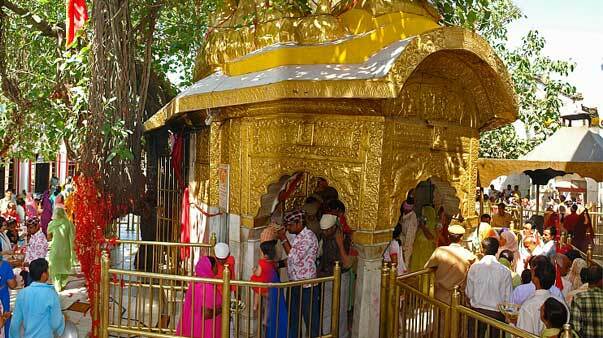 The temple complex is an enchanting spot with glorious view of Dhauladhar, the Baner Khad and Dadh. 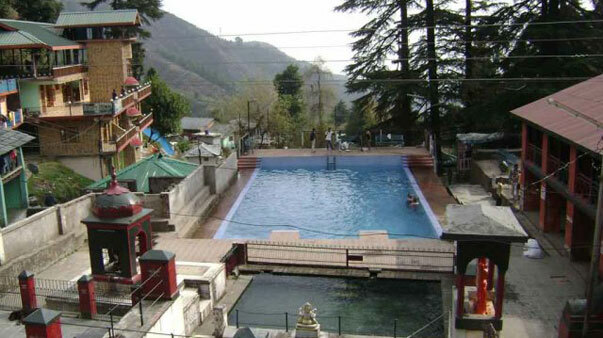 A vast running water pool houses the statues of Lord Shiva and Saraswati. 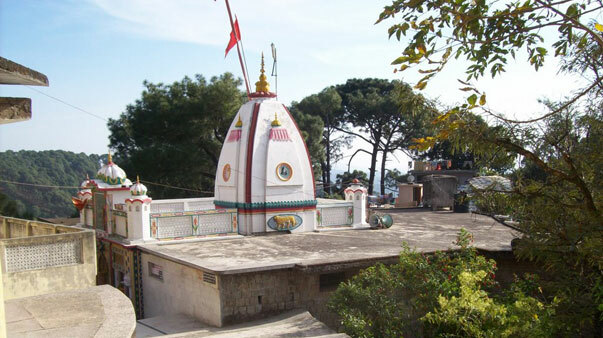 A trek of about 16 km up in the Dhauladhar ranges is the ancient temple of Aadi Himani Chamunda. The Gopalpur Zoo is one of the ultimate family getaways that one can cherish forever. It is easily accessible and it has been the home to several species of birds and animals which never cease to amaze tourists. The surrounding valleys and slopes etched with intermittent alpine forests are no doubt a sight for sore eyes. History. 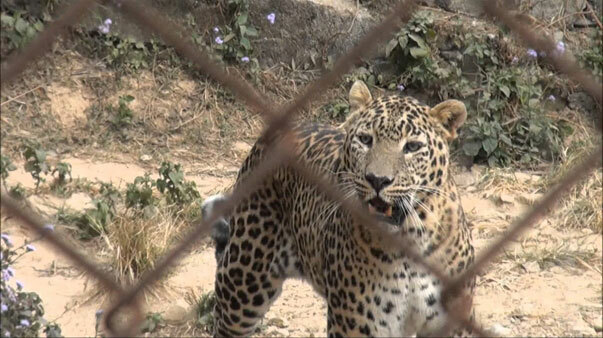 The zoo was established on the Dharamsala – Palampur road in the village of Gopalpur in the Kangra District. This was actually the result of an initiative taken by the wildlife department of the state government of Himachal Pradesh. Since its inception, the zoo with its sprawling greenery surrounded by snow topped mountains has indeed been refreshment for one’s senses. To add on, the village has also gained spiritual significance with the inauguration of the Buddhist Monastic Institute – Dorzong Buddhist Monastic Institute by the Dalai Lama in September, 2010. In order to enable the visitors to enjoy the nature & make them aware of the importance of nature & environment, a nature park namely “Saurabh Van Vihar” at Palampur over 13 hactare area has been established. It is located on the right bank of Neugal Khad near Kandi bridge in the lap of Dhauladhar ranges, in village Kwat, 4 km from Palampur town. Neugal Cafe is 3km from Palampur Town. Roaring in the rainy season and tinkling all the year around, Neugal Cafe is famous Picnic Spot offers a fine view of the Dhauladhar range & the great view of Neugal Khud. 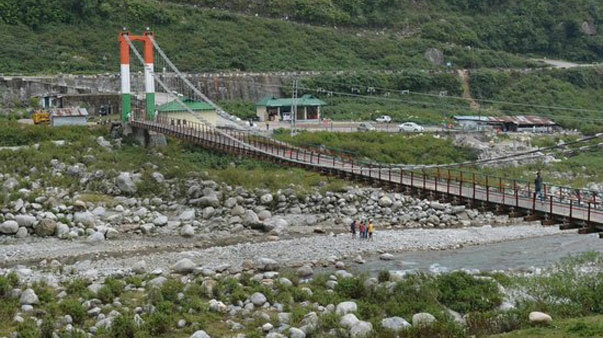 Himachal Tourism café provides food and a fine view from its restaurant. The tea gardens appear on either side of the road well before you enter Palampur, giving you a sense of entering into a dreamland. 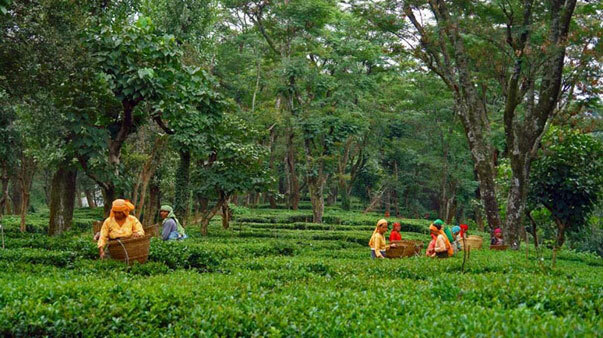 Since Palampur is called the Tea Capital of northern India, it is famous for its lush tea gardens sprawling over vast acres of land. These splendid gardens are among the chief attractions of the hill-town. Tea plantation was introduced in and around this area in the 19th century and since then Kangra Tea has become quite renowned. Shiva is worshipped here as Vaidyanath or the Lord of Physician. The temple has lent its name to town as well which earlier was known as Kiragrama. The history of the temple is stated on stone slabs. According to it, the temple foundation was laid down by two local merchants in the 9th century. The date of inscription is itself given in two eras – Saptarshi and Saka. The Saka year 1126, which corresponds to 1204 AD, is considered more authentic. Renovation work in the temple was carried out by Raja Sansar Chand in the 19th century.Today, the temple is still very much in use and attracts a number of visitors year round. The unique feature of the temple is its architectural style, which is very different from the rest of the temple in the state. Actually, the architectural style is Orissan which is far away from Himachal. 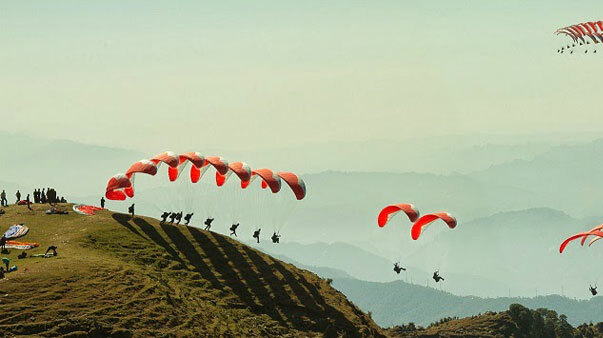 Bir, surrounded by tea gardens and an amphitheater of low hills, is an ideal landing ground for para-gliders. Bir has Buddhist monasteries that are worth visiting. 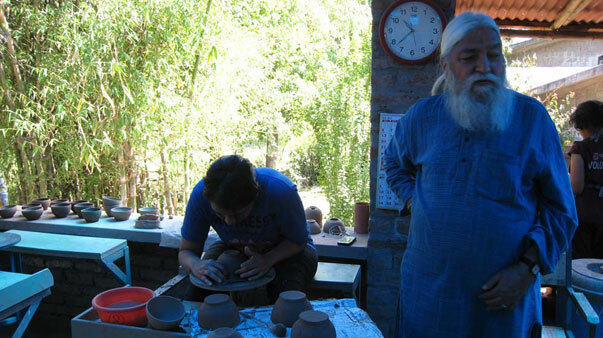 Fine Tibetan handicrafts are also produced here. Billing, up in the hills 14 km from Bir with an arena of 200 km for high altitude and cross country flying, is one of the best aero sports sites in the country. The Brajeshwari Devi temple, located in the old Kangra Township, is said to have been built over the charred breasts of Sati. This shrine, once renown for its great wealth, has been plundered relentlessly over the ages. The first of the plunderers was Mahmud of Ghazni, who looted it in 1009. A mosque was built on the ruins and a garrison was left behind. 35 years later, the local king regained its possession. The shrine was repaired and a replica of the idol was enshrined. The temple was filled with gold, silver and diamonds only to be ransacked again in 1360 by Firoz Tughlaq. Later Emperor Akbar visited the shrine with his Dewan, Todar Mal and restored it to its former grandeur. The temple was razed to the ground by an earthquake in 1905, but a new one came up the very same year, thanks to the Kangra Restoration Committee. The marvelous architect. 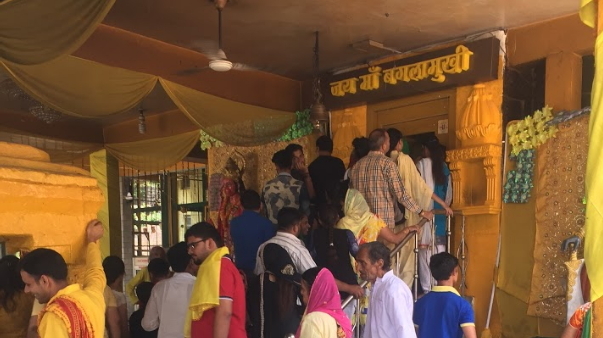 The temple is constructed to facilitate the Jain pilgrims to have glimpse and visit to temple in nearby Kangra Fort where a 5000 year old icon of Lord Mahaveer is placed in a temple inside the fort. This icon was placed by the daughter of King who adopted Jainism. 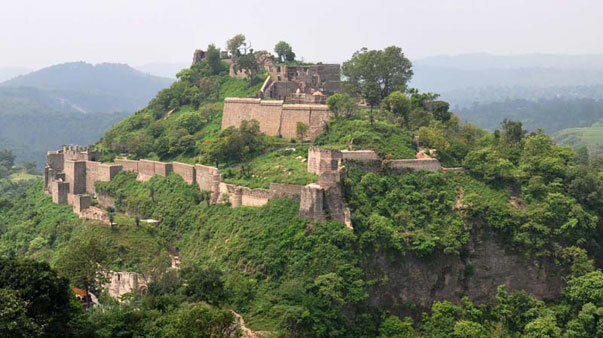 This was the first seat of Raja Sansar Chand II (1775-1823) .One of the ancient capital of powerful hill state-fort of Nagarkot(3km) stands as a mute witness to the ravages of conquerors from Mahmood of Ghazni to the Emperor Jehangir, and the disastrous earthquake of 1905. 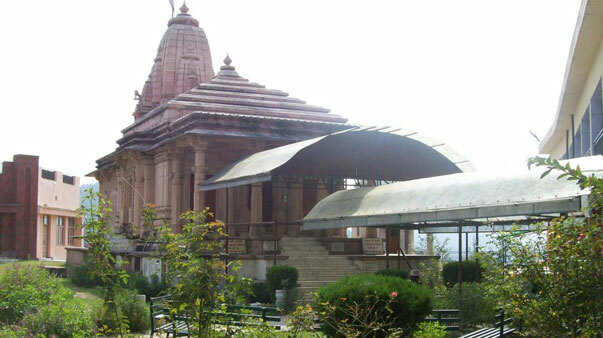 The place is now called “Purana Kangra”.2 km from the bus stand is the temple dedicated to the goddess Barjeshwari Devi. 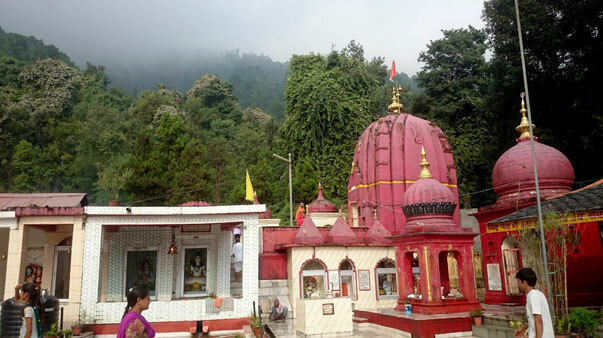 The famous temple of goddess Jawalamukhi also called the “Flaming Goddess” or “She of the flaming mouth”.It lies in the valley of Beas and is built over some natural jets of combustible gas believed to be a manifestation of the goddess Devi Bhagwati . 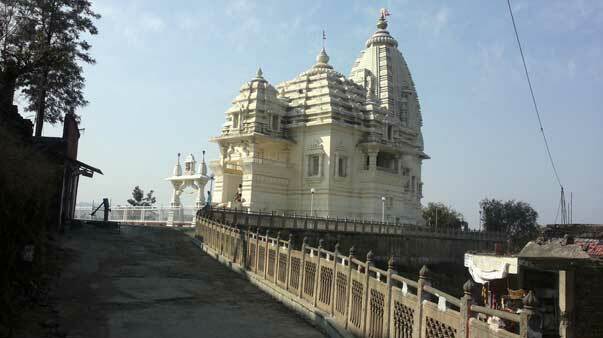 There is the Gorakh Dibbi, Chaturbhuj Temple and a host of other smaller shrine at Jawalamukhi town. Apart from the holy shrine, the place is also known for its picturesque surroundings. The valley houses excellent views for sight seeing, indoor and out door activities. The temple is also very well connected through road. That is to say, the place can be an ideal option for a religious visit and holiday both. This is one of the siddh peeth of Ma baglamukhi. Ma baglamukhi is worshipped for winning court cases and remove any problem of life. She is the eighth mahavidya. Masrur is 32 km from Kangra on Nagrota Surian link road and is famous for remarkable group of rock cut temples. 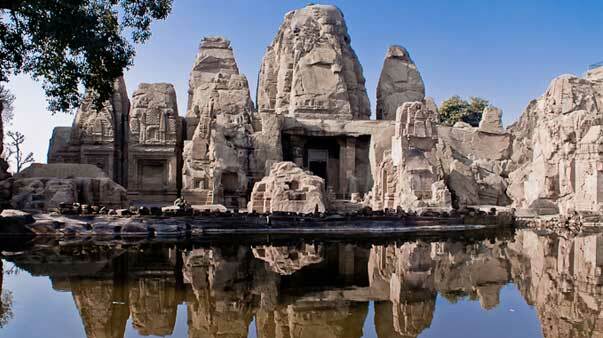 They form a group of 15 monolithic rock cut temples in the Indo Aryan style and are richly carved. These richly ornamented cave temples are the only rock shrines in the northern part of India.